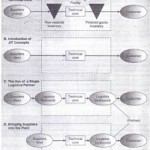 Exhibit 13.1 shows the major elements in a firm's supply chain. in terms of tho e organizations with which it deals directly. The issues associated with the delivery of these products to the ~rm are referred to as inbound logistics. After the firm has added value by transforming the purchased goods and services, the finished products are then delivered to its ustomers and/or distributors. Similarly. the issues associated with the delivery of these products to the firm's customers and/or distributors are referred to as outbound logistics. From a larger perspective, a supply chain can be defined as a group of organizations that perform the various processes that are required to make a finished product. Here the chain would begin with the actual raw materials and end with the fine. head product that is delivered to the end user or final customer. For example. if the finished product is a piece inbound logistics of wood furniture, then the supply chain, going backwards from the customer. would include (a) the retail operation where the furniture was purchased. (b) the shipping company that delivered it, (e) the furniture manufacturer, (d) the hardware manufacturer. and (e) the lumber companies that harvested the wood from the forests. If the end product i fre. h fish fillets that are sold at a supermarket. then the supply chain would include (a) the supermarket, (b) the fresh fish supplier who delivered the fi h. (e) the f h process. or ho filleted them. and (d) the fishermen who caught them. The structure of the supply chain can vary dramatically for different companies, even within the same industry. In addition, the role of an organization with respect to its span or degree of control over the supply chain can vary significantly. As an example, compare the supply chain for fish sold in a typical supermarket. described above, with that of Spenger's, a long-established fish market and seafood restaurant located in Berkeley. California. Until recently. many of the various types of fish sold in its market and restaurant were caught on its own fishing boats and processed in its own operation. (Spenger's, founded in 1890, sold the last of its fishing boats in 1994 with the retirement of its owner and now buys fish either through brokers or from fishermen who ~work exclusively for Spenger's.) As an another illustration, Henry Ford, in order to support his huge River Rouge automobile plant just outside of Detroit, Michigan. invested heavily in iron ore mines, forests, coal mines, and even cargo ships that transported raw material on the Great Lakes. His goal was to gain total control over his supply chain (which, in the end, he realized was not possible). The greater the degree or span of control that a firm has with respect to its supply chain, the vertically integrated it is said to be. In other words, Ford's operation could be described as being very vertically integrated in comparison to other automotive manufacturers who focused solely on the manufacture and assembly of the cars themselves. Supply chain management, therefore, can be defined as the ability of a firm to work with its suppliers to provide high-quality material and components that are competitively priced. The closeness of the relationship between vendor and customer, in ljIlanyrespects, differentiates one type of supply chain from another. The adoption of the term supply chain management in lieu of materials management or purchasing reflects top management's recognition. of the strategic role of suppliers in contributing to the long-term success of the firm.